I am so sorry to hear of the passing of Robin Gibb. It appears that the whole family are having a pretty rough time of it lately. I feel very much for Barry who is the last remaining member’ he must be totally devastated. I know, it’s been an age in between posts! But I have finally found a few minutes to jot something down. During my recent trip to the Golden Valley, I was fortunate enough to actually get out and explore the immediate vicinity, (my apologies if I repeat myself here and there). 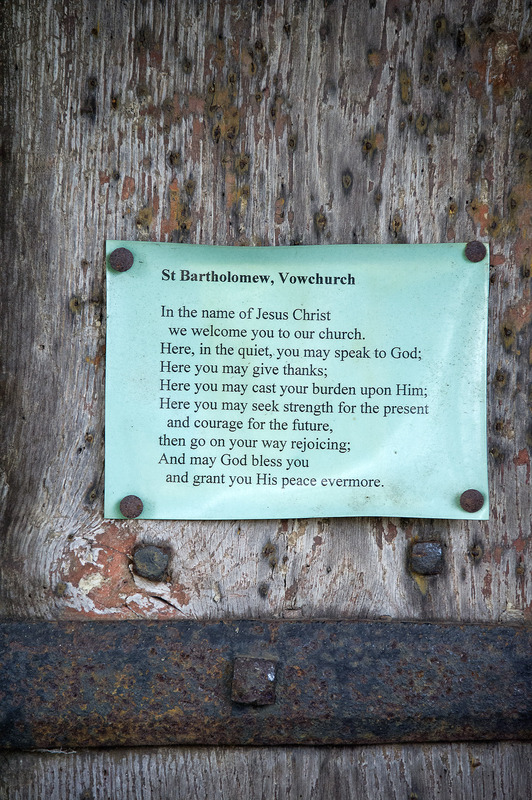 You will recall that I went to a village in the Valley known as Vowchurch. Well this time out I went in the opposite direction and visited Peterchurch. 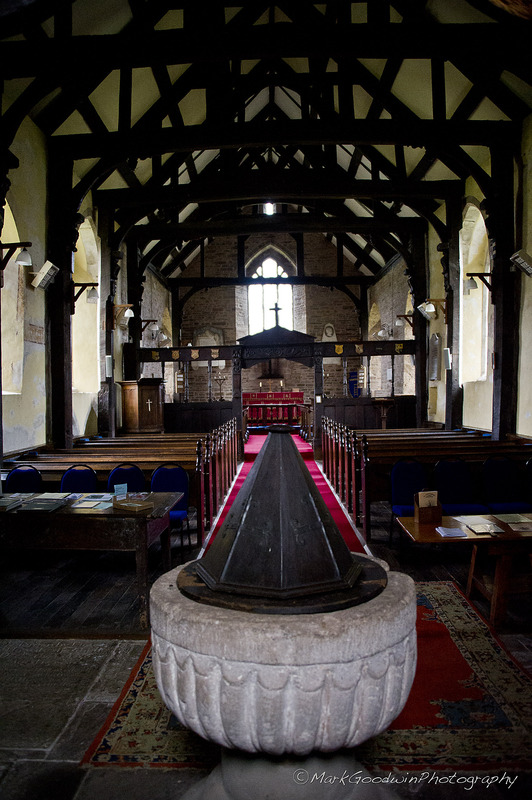 Then the next time went back to Vowchurch and then on to the next little village which really was like stepping back in time. However, the first thing that I saw as I entered Peterchurch was a Second WW US Army Ambulance up on a ramp! 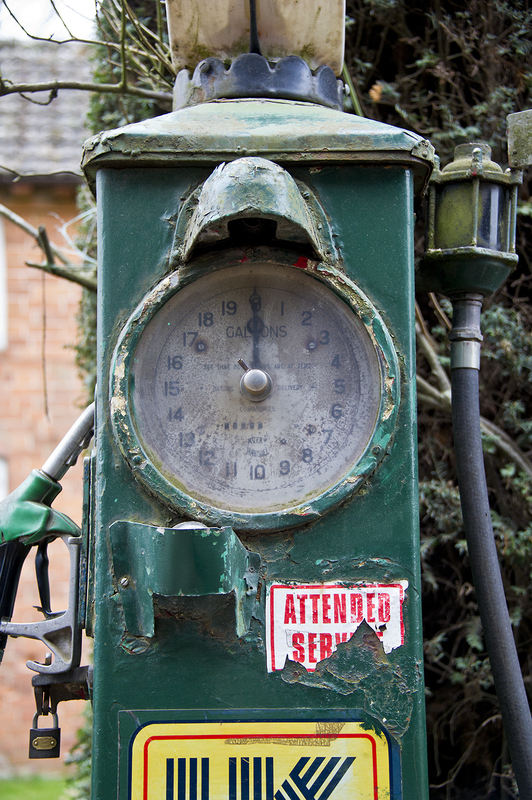 Not something I expected to find in the depths of darkest Herefordshire. Kind of weird really and something that made me stop in my tracks and just look at it, and wondered who would have driven it etc. Immediately opposite the truck was the church of Peterchurch. This was a bigger one than the previous church I had visited but part of the same group (not the correct term I know) and administered by the same clergy. 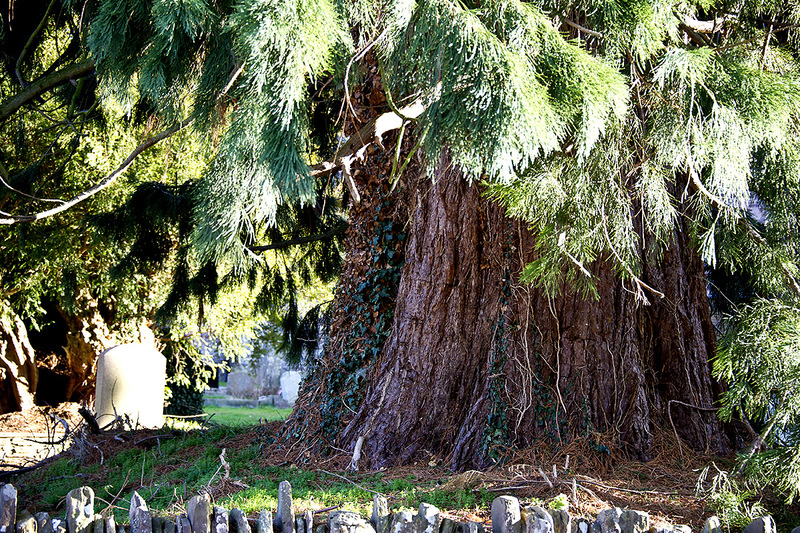 In front of the church was a magnificent example of an ancient Yew tree. 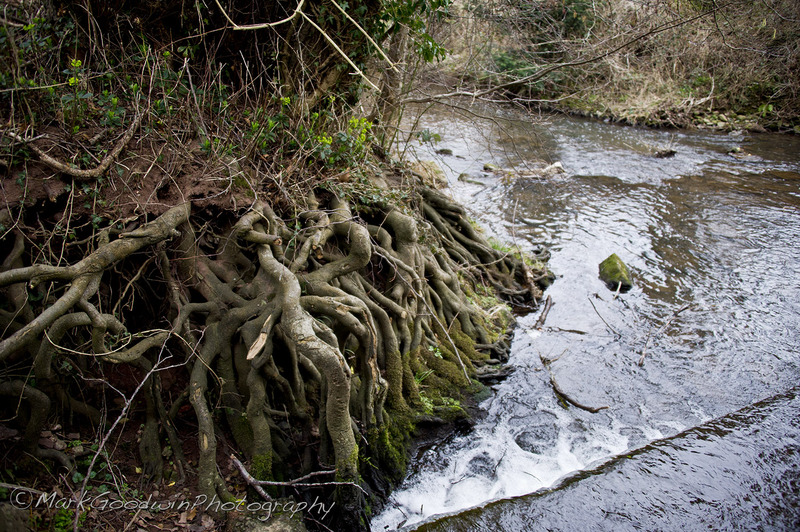 The tree is recorded as being at least 850 years old! 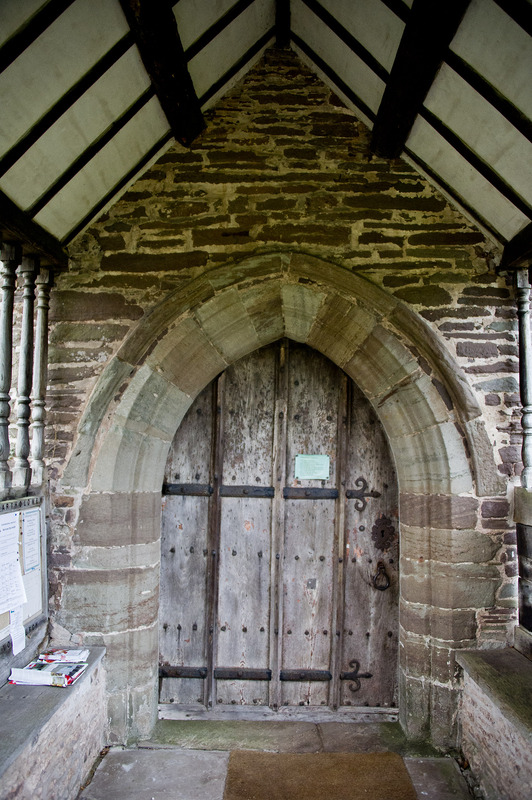 Apparently, in the Middle Ages many of the churches were used as a refuge and ‘forts’ as the villages were regularly raided by Celtic warriors from over the border in Wales. The main weapon of the day was the bow and arrow and, what wood do you think the bows were made from? Yes absolutely correct Yew. 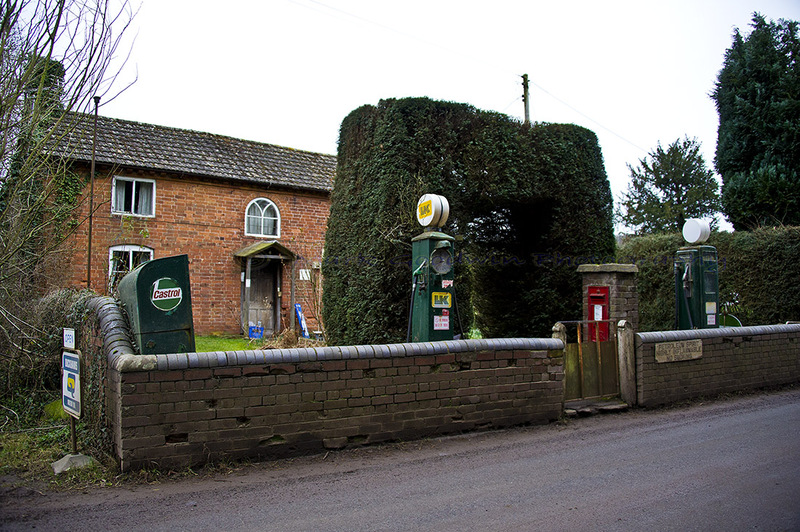 So that it is why in most of the church yards in the UK you will find a really old Yew tree in the yard. 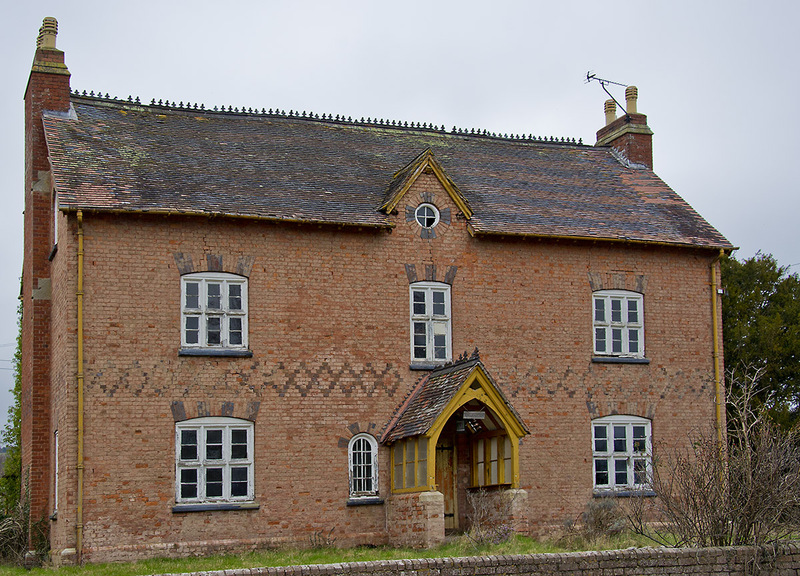 The next village was back to Vowchurch and then on to the old village of Turnastone. 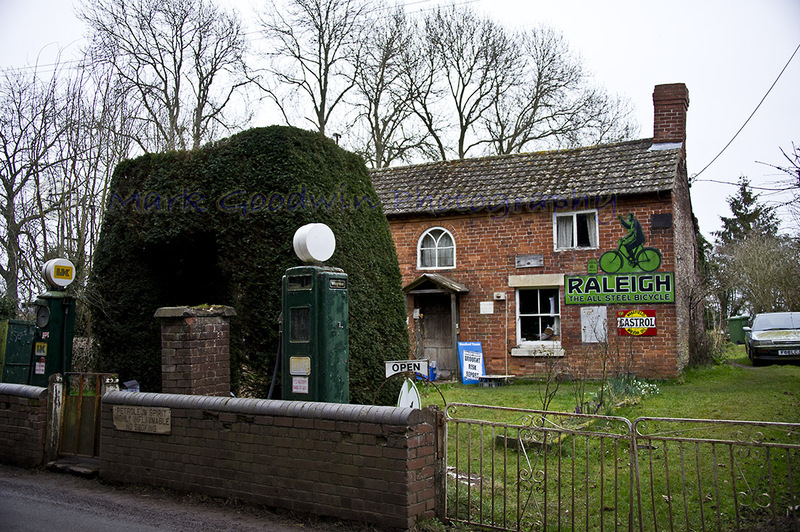 As I entered the village it was just like stepping back in time, the first thing I saw was an old farmhouse. It was pretty old but also it was empty. What once was obviously a magnificent family home, was now just sitting there rotting away. From what I could gather it appeared the farm business was another victim of the current economical downturn that is affecting everyone. Turnastone Court really would have been a beautiful place to live back in the day, and its garden backed on to the little River Dore. However, if I thought this was quaint, I wasn’t any where ready for what I was to see next. It was almost like stepping onto and Ealing Studios British Film Set. It was absolutely wonderful, well it was for me, I must have take about 60 pics of the place from every angle. I eventually came to St Margaret’s church and I went in side, it was a sweet little church and once again steeped in history. 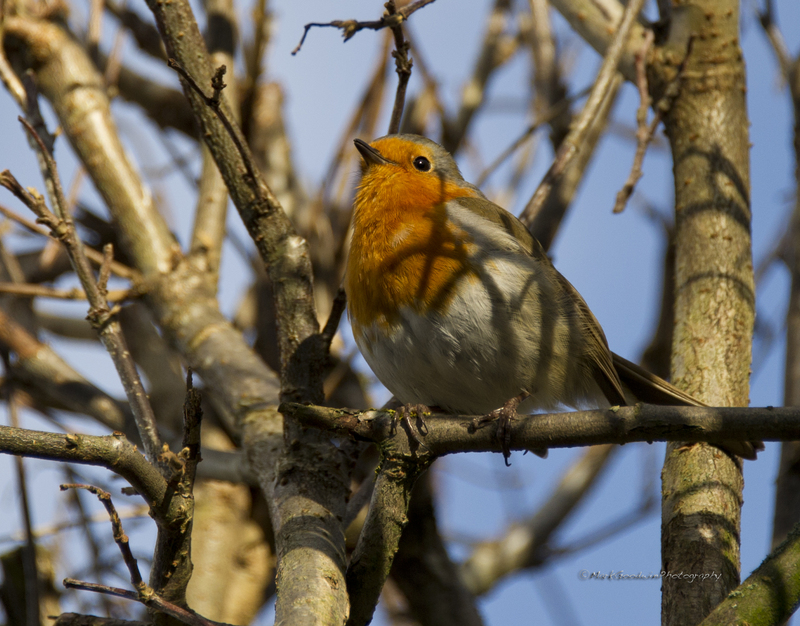 I took a number of photos many of which are still in the workflow but I will show them as soon as. Meanwhile, I will leave you with just one more pic. This was one I took of a memorial plaque on the wall inside the church. It is written in old English where the ‘S’ looks like an ‘f’ and the Stonemason would abbreviate words to suit, as he was engraving to ensure it all fitted on the stone. 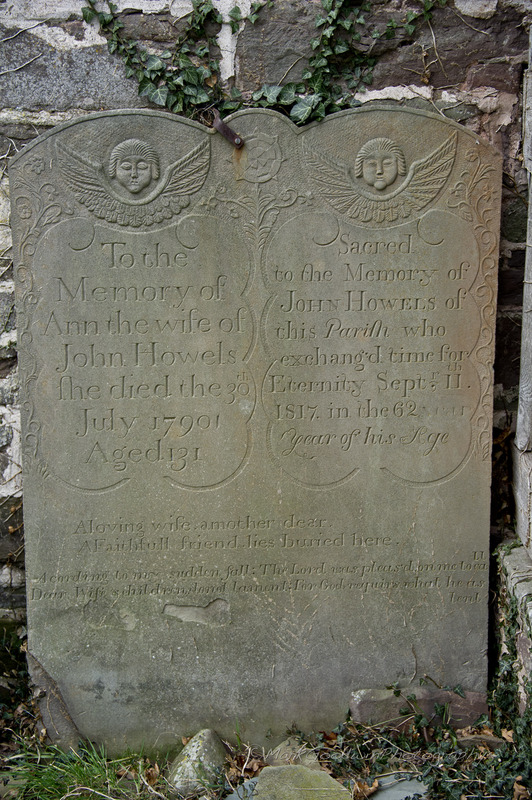 The way that I read it is that young John Roberts Junior died just after Christmas on December 29th 1768 at the age of 22. 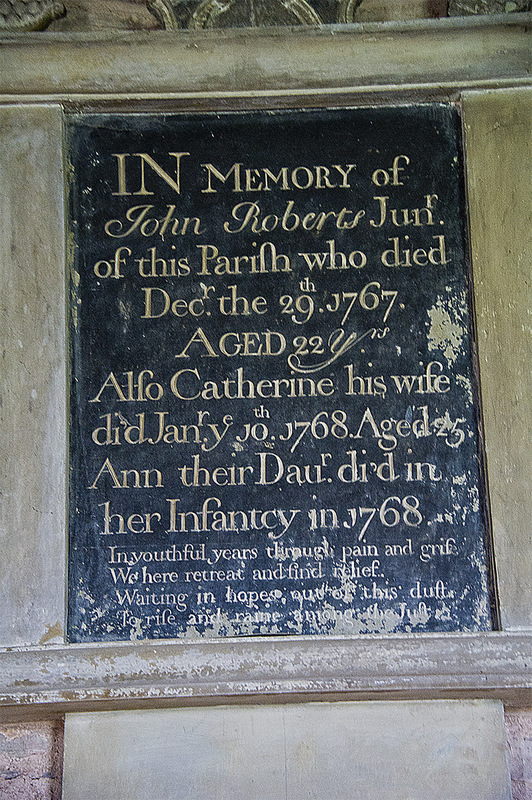 Then just 12 days later his wife Catherine who was 25 also died as did their daughter Ann. I couldn’t find out anything out about the family or why they perished, but the Plague and the Pox were around at that time along with all the other diseases of the day, and obviously without any real pharmaceuticals to treat the illnesses with. The poem at the bottom reads: In youthful years through pain and grief, we here retreat and find relief. Waiting in hope out of this dust, to rise and reign among the just. Did You Know?, Live Music, MEMORY LANE, News, Photography, Won't you send me down a lifeline? Pete Appleby, a photo by MarkieG on Flickr. 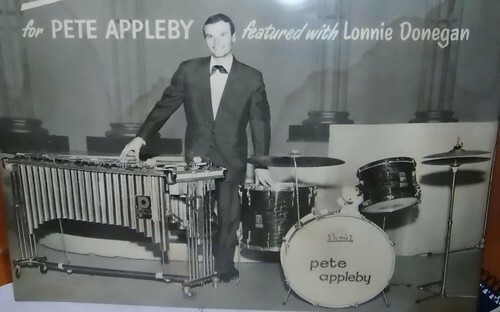 It is with great sadness that I have to report the the death of the great British Percussionist Peter Appleby. As many of my readers will know Pete was the driving force behind the Lonnie Donegan Skiffle Group when I was still a lad! Previous to joining Lonnie’s band Peter played with an endless list of household names, both Jazzers and popular performers. He was with the Mick Mulligan band for over 10 years, the singer in that band was the legendary George Melly – George mentions Pete in his book. Other names that people will recognise include, The Humphrey Littleton Band, The Johnny Dankworth Orchestra and Dame Shirley Bassey. In later years Pete devoted himself to musical education and was still teaching up to 2010. I recently received a number of emails from ex-students of Pete’s, one of which is now a Doctor of Music and he owes all his early start in music to Peter. Of course Pete didn’t only play kit, he was an all round Percussionist which included; Vibraphone, Xylophone and Tympani etc. But was more famous for his drum kit work. I first saw Peter perform when he joined the Donegan band in 1960 and he bowled me over, little did I know then that I would end up taking over the drum chair from him with the band in the late 60’s, a hard act to follow as any musician who has worked with Lonnie will tell you.For the past 30 years – give or take – Peter has been happily married to wife June. Although they had known each for many years before that when June was also in show-business as a professional dancer. For the past number of years Peter had been ill on a number of occasions suffering with a serious chest complaint and even beating Bladder Cancer in 2010 with the ever stalwart care, love and dedication of June. It was Saturday the 28th January 2012 that Pete passed away in the Middlesborough Hospital, June having called the Paramedics when Pete started having breathing problems the previous evening. It was reported that Pete died peacefully in his sleep with June by his side.